Two key exterior components of a home with the potential of destruction during a tropical storm or hurricane are screen enclosures and roofs. With hurricane and storm season upon us, it’s very important that homeowners thoroughly check their insurance policy to determine exact coverage for screen enclosures / pool cages. Florida homeowners, for those of you who have existing screen patio and or pool enclosures, and those who are thinking of having one erected it is very prudent (with hurricane / storm season upon us) that you thoroughly check your insurance policy to determine exact coverage for Screen Enclosures / Pool Cages. This is extremely pertinent information that every homeowner must be aware of as the two key exterior components of a home with the potential of destruction during a tropical storm or hurricane are screen enclosures and roofs. Most homeowners do not discover that they have sufficient (or any) insurance coverage for their enclosures until the aftermath of a disaster when they file their claims and are up for a rude awakening by their insurance carrier. 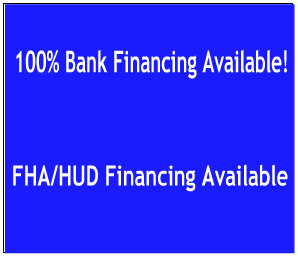 The purpose of this public notice is to inform you specifically about your options. 1. AUTOMATICALLY > include the Screen Enclosure Value in the amount of insurance applicable to the dwelling value that you currently have. 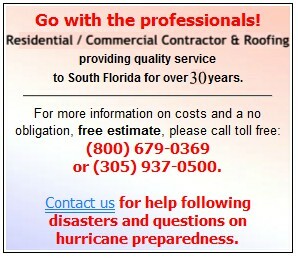 Your current HURRICANE DEDUCTIBLE will apply. (A) Increase the dwelling value amount. (B) Generate a moderate premium increase of approx $50.00 – $200.00 annually. (C) Require you to state the value of your enclosure. 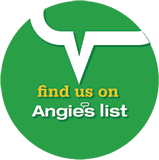 (A) Have the option to purchase an X dollar amount deductible for the screen enclosure or choose the percentage deductible that is available. (B) Scheduling will generate a premium increase of approx $500.00 annually, due at renewal, or if scheduled mid-term, a pro-rated amount. 4. If your Screen Enclosure is already scheduled, please make certain there is an adequate amount of insurance coverage on the policy for replacement of the enclosure in the event of a total loss. 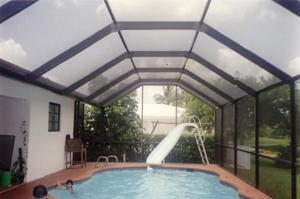 The MINIMUM amount recommended to insure a Screen Pool Enclosure in today’s market is $25,000.00. Some will be more, depending on the size and complexity of the enclosure structure. Gulf Atlantic Industries is a South Florida general contractor, specializing in residential, hi-rise remodeling, home improvement, and light commercial contracting. See us for fast, reliable repairs following disasters and preventive improvements for home, hi-rise, and light commercial property improvements including: new roofs, screen pool and patio enclosures, impact resistant replacement windows / doors, and hurricane shutters. 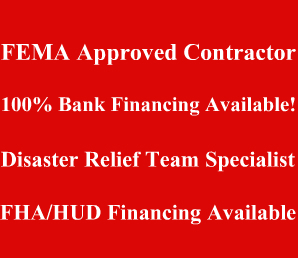 FEMA Approved Contractor and Disaster Relief Team Specialist Contractor serving Miami to Melbourne on Florida’s East Coast, Miami to Port Charlotte / Punta Gorda on Florida’s West Coast, the Florida Keys, and all points in between.. You can call them at 1–800-679-0369 or 305-937-0500 and visit them on line at www.remodelsouthflorida.com.